Last week, Valve Software made the decision to launch what might have been the most groundbreaking initiative of the year: to facilitate a way for modders -- talented, typically amateur devs and artists who create and share modifications of PC games -- to get paid for their work. Instead, the game industry got one of the biggest 180s of the year. Valve’s original plan sparked a wave of clashing conflicts rooted in dozens of factors across the modding community, the Skyrim community, the developer community, and beyond, turning a previously well-known draw of PC games into a battleground for new ideas and established values. But now that paid mods from Valve have been nixed, and the status quo has been restored, what lessons can be drawn from the settling dust? To start, it is best to begin drawing a timeline of Valve’s paid mods initiative, beyond its primary announcement. When reached for comment, a Bethesda representative referred us to this blog post, which points to conversations between Valve and Bethesda starting in 2012, with Valve spending 2-3 years clearing the legal and technical hurdles to make modding possible. 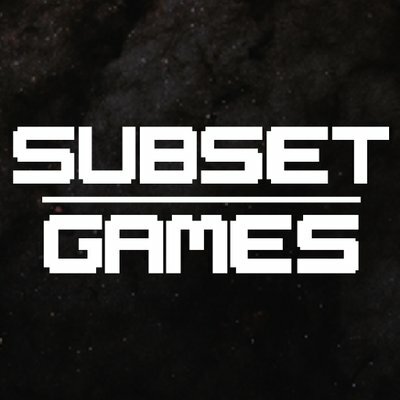 Multiple sources contacted by Gamasutra, and independent forum posts, have pinpointed Valve’s first outreach to modders and the modding community at a month to a month-and-a-half ago, with a Nick Fury-type message for modders both in the Skyrim community and other Steam Workshop vendors: That they were putting together a group of modders to become the first officially-backed mod sellers on Steam. The cut would be 30-35 percent to Valve, 40 percent to Bethesda, and 25 percent to the original modder. An optional 5 percent may be distributed to Steam Service Providers from Valve’s share. Art of the Catch, from "Chesko"
Some people that Valve reached out to were modders like “Chesko,” who was part of the Skyrim mod community. (He ended up removing his $29.99 Skyrim fishing mod after conflicts with the creator of another mod that was used in his mod -- it’s a tangled web.) There were other modders like "Sebastian," AKA Anton Tierno, who had worked on Team Fortress 2 and Dota 2 mods. Robin Scott of modding site Nexusmods.com tells us he was contacted by Valve to have his site listed as a Steam Service Provider. By becoming a Steam Service Provider, Scott and Nexusmods were agreeing to, at most, the ability for mod sellers to contribute a small portion of the sales of their mods to a site that has been the pillar of the Skyrim modding community for years -- if they so desired. It’s a position that Scott had to defend after the service’s launch, because it’s one of the many spikes that has driven the modding community apart in recent days. How much due diligence can one dutifully do? The timeline presented by these events describes a three-year process brought to its knees over the course of four days by a number of factors, but it’s the execution of the plan itself that warrants the most attention. "They were not doing any consultation with the community at large. It's just been 'bam, this happened.' And I think that's why you're seeing this crazy reaction that you are now." The legal and technical requirements may have been satisfied, but the social angle of the entire plan received literally 1/24th of the attention that those two variables did, and when reviewing both Bethesda’s post and Gabe Newell’s Reddit AMA, it’s a variable that still wasn’t addressed even after launch. And even with allegations that the legal requirements were handled prior to launch, that compressed timeframe may have led to a giant fighting point over the first paid mods -- the legality of their very existence. This community member brought up the SkyUI mod, a popular mod used by other mods to allow configuration through menus. The creators of SkyUI established versions 5.0 and onward would require payment to access, and for modders like Apollo Down, that presented a huge problem. “I am afraid that some of these users will see SkyUI and think they need the best version,” he said. Though that isn’t necessarily a legal question (Valve and Bethesda’s back-end agreements would certainly keep Apollo Down off the hook for any purchasing decisions his customers made after the fact), it is a conflict of values borne by a similar set of circumstances as the legal challenges. Simply put, Skyrim’s modding community has spent three years building mods on the back of other mods, another model not publicly acknowledged by either Valve or Bethesda in their set-up for this. The Workshop Store’s temporary first offerings were largely skins and superficial changes similar to the hats, guns, and armor in Valve’s first-party workshop stores, but Skyrim’s legendary mods were built on the back of larger work, not just from combined team efforts, but from peers working off each other’s models to hack out different models not normally possible in a developer environment. And then, there’s the question of values. This is perhaps, the trickiest area to say what lesson Valve, Bethesda, or any other developer could learn anything. This is the land represented by much of the coverage and commentary of Valve’s Steam Workshop -- questions of not how, but why mods should or shouldn’t be sold for cash. To any developer or designer who’s struggled to be paid for their work, that idea must come off as incredibly bizarre. To any producer or investor interested in the revenue paid mods could bring in, directly or otherwise, it’s an idea to be found on a foreign planet. And in certain models of community relations, it’s a value that may not even matter. But in the case of the Skyrim modding community, and the game developers who build the tools and IP that support it, the delta between that central value, and the values of modding that drove this plan, create a vast rift that must be accounted for in some way if any plan of paid mods is to succeed. And when you fail to align the values of the business model and those of the community... well, you can see the results this week. Valve and Bethesda have been the targets of such vitriol, but something the two companies did not consider is that they failed to equip this potential new generation of paid modders with the means to defend themselves against waves of attacks from players. The companies did not anticipate it, they did not account for it, and it’s possible due to their size and general embroiling of internet controversies that they simply thought it was part for the course for playing in the field. But by failing to properly consider it, some of their key early adopters, the advocates who might have shown how their system could work, shut down their online presence instead of continuing to live in this noisy echo chamber. The (perhaps temporary?) passing of Steam’s paid Mod Workshop service has left a strangely divided community in its wake. Modders leerily eye each other as either sellouts or fanatics depending on their stance. The word “greed” probably sounds inherently strange to anyone following this story over several days, and the thinkpieces about the “whys” of paid mods will shamble about until the next iteration returns to Steam. In the wake of the program’s cancellation, Anton “Sebastian” Tierno says he’s still getting paid for the mods he sold, and he’s of the mind that the program was cancelled too early. Mathiasswag hopes that the system stays dead, and that the paid Mod Workshop is never implemented for Bethesda games. But in this mess, lessons may yet be learned, communities may be stabilized, and paid mods may yet successfully build a new facet of game development... if its harbingers, as they say, "chew through a dump truck of feedback."